Last night, Jews around the world, like many of us, gathered in homes for a festive New Year meal. Tables resplendent with tzimmes and kugel, brisket and chicken, wine and candles were adorned with white tablecloths, fine silverware, and surrounded by family and friends. Many of these meals began with blessings: Blessings shared with good wishes for a sweet, new year as apples and honey were passed around; blessings recited according to tradition over wine and festival lights; and blessings over round challot, sweet with raisins. There is a component to making this challah—in fact any bread—with which you may not be familiar. Many of us are aware that in order to make bread, one needs yeast for it to rise. If you have ever made bread in your homes, you probably used a domestic, purpose-cultured yeast. But fine bakers prefer to make their bread rise using a sourdough starter. This sourdough starter is created by capturing wild yeasts, which exist naturally in the air around us, in a simple flour-water mixture. Left out in the open air, a fermentation process begins. The yeast eats the flour and water as food and emits a gas causing the mixture to rise. New bakers will often go to an established bakery and ask for some sourdough starter which has already been made, rather than starting this lengthy process from scratch. These bakeries had, in turn, received their first sourdough from other bakers, and so on. This process has gone on for many years, and some bakers can trace their sourdough back centuries. The process by which a good, hearty bread is made is not one which begins simply when the farmer harvests his wheat, but rather it began hundreds, if not thousands, of years ago in the form of this sourdough. There is one more thing about sourdough that I have learned: In order for it to be useful, sourdough needs constant tending. When enough bulk is created, it must be purged and fed. If the natural yeast does not receive new food, the population of yeast will be killed off by its own fermentation process. A new supply of flour and water must constantly be added. To summarize: Before a baker can even open shop and begin to make a loaf of bread, she must inherit this sourdough starter, the creation of which may have happened centuries ago and from which a remnant survives today. She must tend and care for the sourdough. And only then can she make the dough from which she will braid the most tasty and nourishing challah. The blessing made over the challah, the “motzi,” is a curious blessing. It praises God for “bringing forth bread from the earth.” But, according to Rabbi Richard Hirsh of the Reconstructionist Rabbinical College, “God only provides the raw materials; it is we who must plant, tend, harvest, and bake in order to create bread. Thus we learn that we are God’s partners in the work of creation.” If we consider the point, we know bread does not literally come up from the earth out of the dirt. The farmer grows the wheat and then reaps it; the miller grinds the wheat into flour; the baker bakes the loaves; and eventually they end up in the bakery or the supermarket ready for us to enjoy. Were one of those people not to do his or her part, we would not have our bread. Consider this group effort. Farmers, millers, bakers, sellers, all work in concert to feed their community. This is in great contrast to the biblical manna, which God provided the Israelite people during the wandering in the desert. Our forebears turned to the Eternal for physical sustenance, but once they reached the Promised Land, they turned to one another. Bread is a real physical reminder that we need one another. Bread reminds us that the greatest creations are the ones made with each other. Even if one individual were to develop the most elaborate recipe, or grow the best wheat crops, or have the finest bakery, this individual is only one step in the process. Bread is the realization and culmination of the ambition and effort of many who join together in common purpose. In short, bread is a metaphor for a healthy community. Like bread, which has origins in the distant past with its sourdough, our communities have roots that stretch back into history. As with the sourdough, which over time needs to be purged of its bulk and and then fed, nations of the earth have had to discard outmoded ideas and practices and then be nourished with new knowledge and insight. As with the wheat, tended by the farmers, families nurtured their young to be the vital ingredients for the future of society. As with the dough, which needs to be combined, kneaded, and baked, we have created the values which best helped us grow and evolve, and distilled those values until our community became strong and vibrant. Each community today, whether it be regional, ethnic, religious, or otherwise, is its own loaf, living and growing due to the efforts of those who tend to it regularly. When communities are nourished and renewed, the people thrive. When bread is not cared for, it becomes stale and old; when outmoded and outdated ideas or values are held on for far too long, like the sourdough which is not fed or the bulk discarded, the community dies. One cannot assume that the community is good just because it exists. A community is good because it is constantly monitored, cared for, and grown. Tradition teaches that on Rosh Hashanah, the New Year, each of us is to make a “Kheshbon HaNefesh”—an “accounting of the soul”—a list of everything we have done and thought over the past year, both good and bad. We need to take the opportunity of the season to reflect on our actions, to nurture that which is good within us, and to purge that which is bad. With an eye towards Yom Kippur, we can use this list to grow, learn from mistakes, but most importantly, to repent and ask for forgiveness. Sitting here together, as Jews are doing around the world, we look at ourselves as individuals, but we should also look at ourselves as a whole community. Just as bread provides sustenance for our bodies, our community provides strength for our spirit. If we are not being properly nourished, we must also face that which is broken in our community in an effort to avoid a famine of the soul. By way of example, let us look at our own bread here at Temple Israel of New Rochelle. How do we tend and care for our portion? How do we ensure the future of our lot? How does each of us contribute to the well-being of the bread that is our synagogue community? As a Jewish people, we have embraced the Torah as our source of values and inspiration. We learn from Pirkei Avot, “Im ein kemakh, ein Torah; im ein Torah, ein kemakh—Where there is no flour (like in our bread), there is no Torah; where there is no Torah, there is no flour.” According to commentator Pinhas Kehati, “‘Where there is no flour…’ [means] with an empty stomach, man cannot concentrate on study; ‘where there is no Torah…’ [means] whoever does not study Torah, does not deserve to earn a livelihood; for the Torah alone constitutes life’s justification.” In other words, Kehati talks of the flour as being that which feeds and sustains us, but that our existence is not about solely existing, but existing for the sake of Torah. The Jewish Testament, the Prophets, the Writings, and the amalgam of commentary and discourse of the Rabbis… all of which we call, “Torah,” has been the spiritual food that has fed us and many peoples for millennia. If, as a Jewish people, we were only to preserve tribal practices, customs, and trappings, we would have died out ages ago, cast off as an unnecessary bulk of sourdough which has outlived its usefulness. What has and continues to feed us well is the Torah, a wellspring of vitality from which every generation has sought and gained wisdom to grow no matter the era. We exist for the sake of Torah, and Torah lives for our sake. Even in the past, the Jews have been a progressive people, growing a corpus of commentary and values which have changed as the greater society has changed. As we have faced new discoveries, new technologies, and have been gradually exposed to the dominant culture, we have evolved and changed Jewish law to suit the greater good. The evolution was gradual, but the expression of Judaism today is a far cry from what it once was millennia ago. But at its core, Judaism has always turned to the Torah. Im ein Torah, ein kemakh. If there is no Torah, there is nothing to nourish us. And as we entered the 20th century, Reform Judaism responded to the demand of the modern Jew by expressing spirituality in modern, relevant, and rational ways. The beauty and legacy of Reform Judaism is its clarion call to awaken those who would otherwise consider themselves “secular,” to respond to the demands of fully realizing their humanity. We cannot and should not go through life without purpose; but we also need not read the Torah as the literal word of God to which all must heed, lest we inherit some divine punishment. Reform Judaism feeds the soul of the modern Jew by providing the ability to interpret and live a Torah which speaks to us as moderns. By casting away the bulk of orthodoxy, the Reform movement empowers generations of liberal Jews to critically examine Jewish tradition and values. 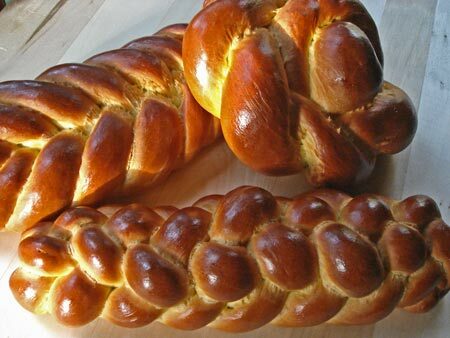 Today in New Rochelle, we have a wonderful, warm, and braided challah that is Temple Israel. For the past 100 years, we have been the flagship congregation of the Reform movement in Westchester. Our Temple is made up of thoughtful, caring, and dedicated families who over the years continually feed the congregation with energy, spirit, and presence. By working together, worshipping together, and growing together, our Temple is more of a family than an institution. To the end of inclusion, we have cast away sexism by, for example, accepting the idea of both girls and boys becoming Bat and Bar Mitzvah, when at first only boys became so. We have cast away divisiveness by embracing our interfaith families, going as far as giving non-Jewish family members the ability to vote at our Annual Meetings. We have cast away homophobia by reaching out to our Gay, Lesbian, Bisexual and Transgendered congregants through the efforts of our recently formed Kulanu committee. We have cast away racism by being a welcoming community to our mixed-race families. We have cast away indifference towards those with disabilities by providing sign language for our deaf members, making our building handicap accessible, and our supporting the Jewish Braille society. Temple Israel of New Rochelle is a light to the nations by embracing not that which divides us, but rather that which unites us: the call to gather together in an effort to communally explore the depth and breath of our humanity and our spirituality. And yet, as in generations past, bulk can always be found to discard in an effort to keep our community fresh and vital. For all the good that we have done and continue to do, should we become complacent or resigned to our present lot, we will stagnate and become irrelevant. Should we think that because our Temple has these and many other wonderful attitudes, committees, and programs, that our job is done, we will fall into the trap of apathy. Yes, we embrace our multi-faith members, but do we provide enough education and programs for Jews to understand and relate to the challenges that multi-faith families have? Further, do we provide enough opportunities for our non-Jewish members to learn about Judaism and even consider it as a path for themselves? Yes, we embrace our multi-race members, but do we provide enough of a welcoming environment in which they feel fully embraced by the community as a whole? Yes, we provide sign language at our worship services for the deaf, but what about at our adult education classes, brotherhood breakfasts, or our annual meetings? Yes, we are reaching out more to our Gay and Lesbian members, but have we done enough to sensitize our community to the issues these members face on a daily basis, let alone provide programming or opportunities to these members who may have felt shunned by the greater society and can be more fully accepted by our Temple? And what do we need to work on of which we aren’t even aware? Bigotry, sexism, racism, xenophobia—these and more are the dross which stagnates the progress we have made as a Jewish community and as a human family. We have made great strides here in our own Temple, as a Reform Jewish community, and even as American citizens by fighting for civil rights and liberties for all and “loving our neighbor as ourselves” as the Torah teaches. But it is the complacency and notion that our mission is accomplished which ultimately prevents us from realizing our fullest potential. Our task is never done, for as long as society is to grow and make progress, we will always find parts of ourselves and our communities which will need to grow and change, lest we grow stale. Case in point: the current financial system of our society has grown stale and challenges us to embrace new ideas. Over this past weekend, Billionaire Warren Buffett was quoted as saying that the nation will face “its biggest financial meltdown in American history” if our government cannot agree on a solution. As active and concerned citizens of this country, we have a responsibility not to sit back and become inactive victims of failed policies, but we must reach out to our elected officials and share with them our concerns and demand of them action and compromise, lest the bread of our nation becomes a poison to the very people it is supposed to feed. On the days between Rosh Hashanah and Yom Kippur, Jews around the world take part in a ritual which symbolizes our casting off of our sins: Tashlikh. During this ritual, one travels to a moving body of water, reaches into his or her pockets to find bread crumbs symbolizing one’s sins, and throws them into the brook or river as a physical reminder of that which needs to be shaken away from our souls in order that we may repent on the Day of Atonement. As a community, we have a responsibility to do so as well. We are fortunate to be strong of spirit and resolute in our commitment to better ourselves as individuals and as communities. As the inheritors of a great and noble legacy, we are emboldened by the past to create a bright future. We are inspired by Torah to lead a life of Torah, of goodness, and of blessing. We have gained a wisdom along our path to be able to let go of that which holds us back from true enlightenment and renewal which will benefit all humanity. We must continually answer the call sounded by the shofar on this day which demands of each of us to contribute to the health and well-being of our Temple community, our Jewish community, our American community, and the world community. By doing so, we will have linked ourselves to the past and made the world better as the baker who discards the bulk of her yeast, and with great care and nurturing, bakes and braids the finest challah. May we, on this new year of 5769, be strengthened by each others’ presence here and everywhere Jews pray; may we find resolve in the notion that humanity is on a good course, one that might have its set-backs, but that proves time and again that it can find a path towards building a loving human family; may we be encouraged to build the bridges towards one another and the other communities of the world to one day fulfill the vision of the prophet, “And on that day, God shall be One, and God’s Name shall be One.” And then, may we all dwell together at the table of the Divine and eat of the bread which brings us together. Amen. Shanah Tovah u’m’tukah, a good and sweet new year.